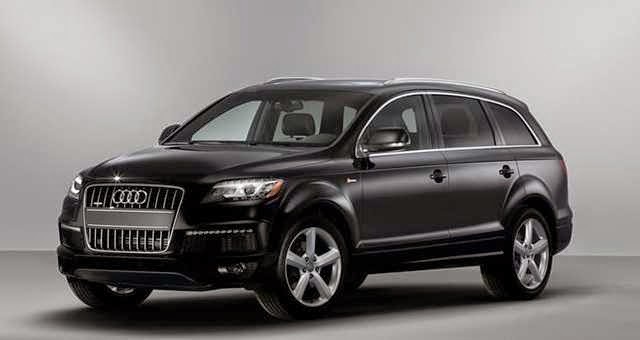 OTONEWS - Lovers of German SUV Audi will not wait ya see this one in action models. How come? Because Audi SQ7 certainly will have an electric turbo system and the latest V8 engine. Reported autoexpress, Monday (04/06/2015), said Audi will give birth SQ7 and brought the latest diesel V8 engine, which is directly mated to an electric turbo. This statement directly delivered by Audi Head of Technical Development, Dr Ulrich Hackenberg. And this new turbo system was going called 'e-boost' electric turbochargers. The presence of this new turbo system had been introduced since the 2014 Audi RS5 ago via TDI-E Concept. Toughness no doubt, just imagine this turbo will work when the car entered the 3,000 rpm. So worth it if it awaited SUV fans. No Comment "Audi Q7 Got Latest Turbo Power Systems "